Employment litigation is the process of taking legal action in response to an employment injustice. In the event of an employment issue, an employee or employer may choose to file a complaint with the right entity of the government or privately sue. KM&A focuses on employment litigation. If you have any questions, give us a call. What Are Areas Of Employment Litigation? If a situation pertains to your workplace, your boss, your employee, your pay, or any possible employment injustice, it falls under the category of employment litigation. At KM&A, we specialize in a number of employment litigation areas. Each of the above categories can sometimes be resolved without employment litigation; however, in the event of taking legal action, KM&A prioritizes the goals of the client, resolving cases as quickly as possible and settling for nothing but the best. How Can A Lawyer Help In Employment Litigation? A lawyer will advocate for you, regardless of whether you’re the plaintiff or the defendant. But there are a couple of areas where an attorney can greatly help your business. Keep reading. When a business becomes the focus of an employment litigation case, customers question the company’s reputation. Moreover, the employees and customers may doubt your integrity. A lawyer maneuvers these situations with finesse and calm that will reassure your clients and employees. 2. Negotiate for your rights. The damages of a lawsuit can be detrimental to a company. However, an attorney will fight for your rights under the law and try to settle your case favorably. A lawsuit does not need to ruin your company. 3. Resolve the issue quickly. With an understanding of the complexities of the law, an attorney believes in efficiency and excellence. Naturally, the sooner issues are resolved, the better. We’ll work to close this case so you can continue with your business. 4. Create plans to protect from future litigation. If your business has dealt with an unfortunate lawsuit, protect yourself by adjusting company policies and practices to the law. A lawyer will be able to draw up documents to protect you and your company in future situations. What Is The Employment Litigation Process? Employment litigation holds no surprises. Within the United States, certain laws protect the rights of American workers throughout the states. Accordingly, when a law is allegedly violated by an employer or an employee, there is an investigative process. Complain to a government agency. First of all, the Federal Government of the United States has arranged for cases where employees have experienced an employment injustice. In these cases, the employee must approach the correct government agency to file a complaint, whether it’s the EEOC, FMLA, DOL, or another. Each agency has their own investigative process and required documents. When the investigation is complete, the complaint will either be dismissed or granted the right to sue letter. A lawsuit must be filed. At this point, if you don’t already have a lawyer, please hire an employment attorney to assist your case and ensure all the correct information has been included. Once the lawsuit complaint is filed, the lawsuit is served to the individual or company being sued. In response, they can either choose to request a dismissal of the case or to answer the served lawsuit. Discovery is exactly what it sounds like. It is a period of time where both sides of the lawsuit are permitted to seek out more information about the case through questions and interviews. The goal is to strengthen weaknesses in the argument. Although mediation is not mandatory, Alternate Dispute Resolution (ADR) is required, including mediation, Early Neutral Evaluation (ENE), and arbitration. The mediator focuses on revealing the weaknesses of both sides of the argument, trying to encourage the parties to settle outside the courtroom. Occasionally, one party tries to persuade the judge that the case does not need to be a trial because there are not enough facts or a law was not violated. Sometimes the case can be completely or only partially dismissed. This stage of the employment litigation process is critical. Both sides of the argument must present their most factual points and legal arguments on the behalf of their clients. Generally, these cases are accompanied by the findings of a jury and finalized with a decision by a judge. However, not all cases are the same, and the jury sometimes hands down the verdict. The losing party can request a new trial or appeal the decision if their request is denied. Employment litigation is an extensive process that can result in high-cost situations and long-winded solutions. The complexity of the law both adds protection but also complicates the step-by-step journey that an employer or employee may experience. 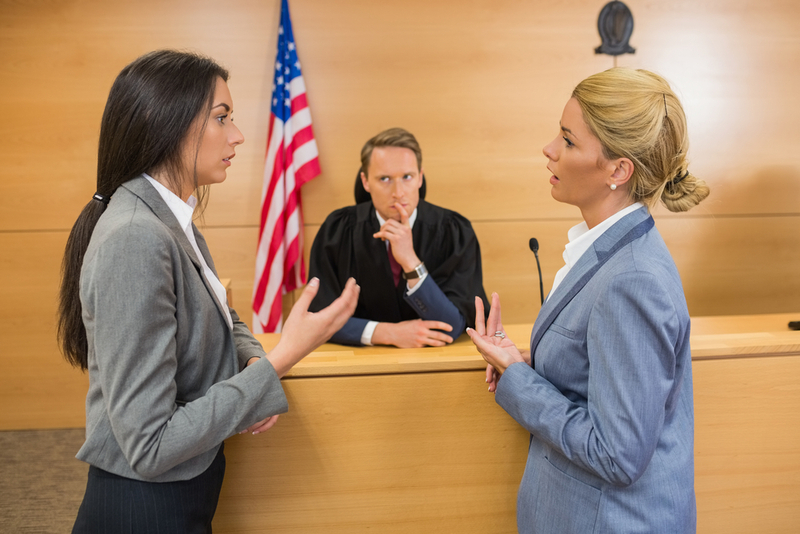 For those who find themselves in a situation that may progress to a trial by law, it may be wise to contact an employment lawyer to represent your case. If you have experienced an employment injustice, contact an employment lawyer who will know how to navigate your case under the law. Don’t hesitate, talk to an employment attorney: (412) 626-5626 or lawyer@lawkm.com.